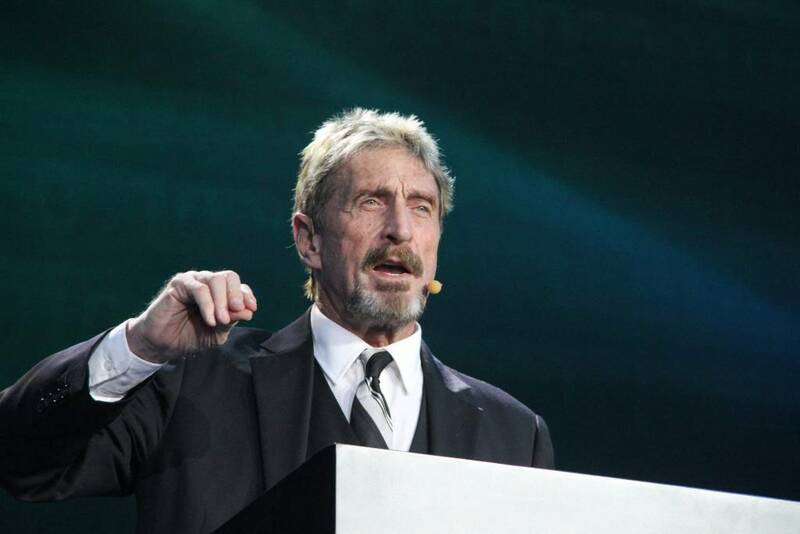 News reaching Ethereum World News indicate that popular Crypto-crusader, John McAfee, has been asked by the Blockchain World Conference organizers, to cancel his live appearance at the event after getting numerous death threats against Mr. McAfee. The choice not to appear on stage was not my choice. It was a decision made by the conference organizers. Blaming me simply and squarely places you in with my few hundred thousand trolls. If that’s where you wish to reside then so be it. Whether the news of death threats are true or not, McAfee was most recently hospitalized for what he claimed was an attempted assassination through poisoning. Prior to that, McAfee had stated that he was on the run from the US government after he claimed that he had purposely committed a felony by calling out the SEC. It is not the first time McAfee has been a wanted man. In 2012 during his stay in Belize, McAfee seemed to ruffled the feathers of the Belizean government when his compound was stormed by 42 paramilitary soldiers in search of what they claimed were drugs in McAfee’s compound. McAfee would later escape from Belize the same year through Guatemala after one was his neighbors was murdered under mysterious circumstances. On his return to the US, McAfee would run unsuccessfully for president in 2016 and plans on running once again in 2020. Core to his new presidential bid, is his plan to provide universal healthcare in the US through the blockchain platform and App of Docademic (MTC) that he is passionate about. Yes I am an investor in Docademic. I invested as soon as I saw their groundbreaking system. But I do not need their money. I invested to help Docademic. HitBTCs unethical tactics cost me and everyone money. Would you not be irate? McAfee currently enjoys a loyal following of 845,000 fans on twitter with this number expected to reach 1 Million pretty soon.